Nike Hypervenom Phantom has a brand new colour and if the boot didn't stand out enough already, it certainly will now, with this new colourway. 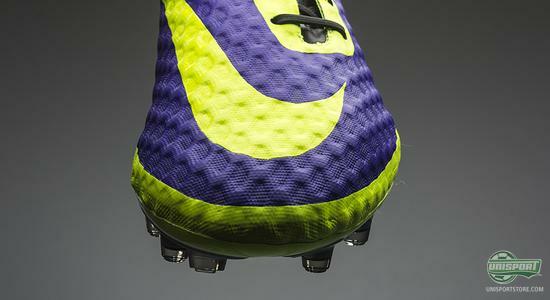 We have taken a closer look at the new boot, which was born to attract attention. If there ever was a boot, which had gotten its fair bit of attention these last few months, then it would be the Nike Hypervenom Phantom. 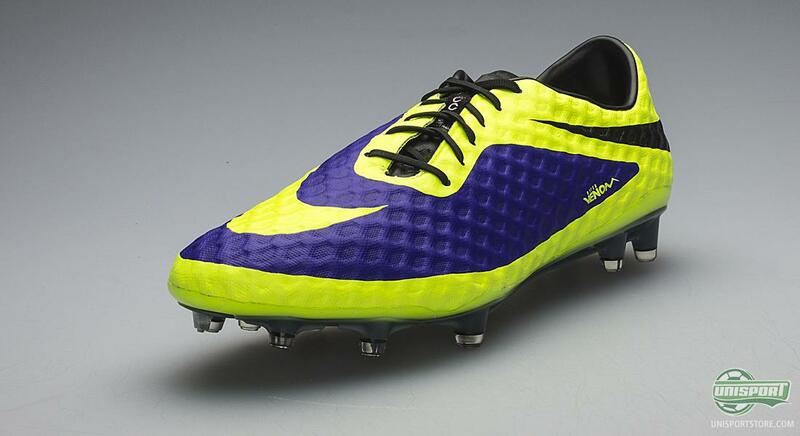 This summer Nike launched their new silo, which was made for the deadly strikers. Since then it has mercilessly stormed onto the football scene, with an unbridled and unstoppable confidence. The Hypervenom is a boot, which promotes great self-belief and the latest colourway is definitely also one that brings with it an aura of supreme confidence. 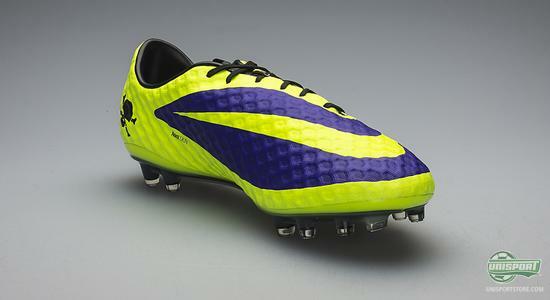 In a sharp combination of neon green and purple, the Hypervenom is made to stand out on the pitch, no matter if you are playing sunder league football on a cold, autumn afternoon, or the Camp Nou, hearing the Champions League hymn thundering around you. Stars like Neymar, Benteke, Sturridge and Zlatan all wear the Hypervenom and what they all have in common, is the element of unpredictability and incredible belief in their own ability, which is deeply rooted in the Hypervenom DNA. One thing is certain, you will be getting plenty of attention in the newest Hypervenom colourway, which is a central part of Nike's Hi-Vis collection and is rearing to light up the dull autumn weather. If you want the brand new Nike Hypervenom Phantom in the sharp and constrasting colours, then you can already pre-order the boot right here  just 192. The Nike Hypervenom Phantom is designed with focus on fit, touch and traction. As most know, the Hypervenom took over from the iconic T90-collection, which was especially famous for its wide fit and this is something Nike wanted to transfer to their new boot. They have therefore developed their most anatomically correct last, which is made to fit more types of feet. When this is then paired with an upper that gives a more comfortable fit, you have got the recipe for success. 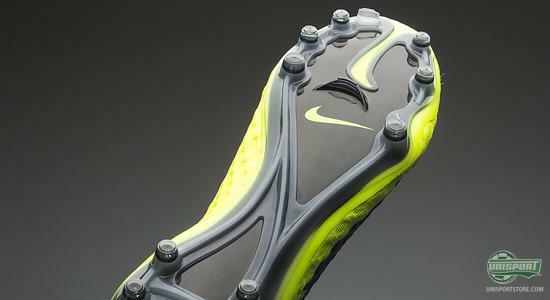 The upper is their new material called NikeSkin. The thought behind it is that it is made to shape itself after your foot and thus deliver a tight fit, which feel like playing bare foot. On top of that it has a very distinctive design, with lots of small dimples in the upper, which helps create added friction between the boot and ball to improve control. On top of that it is made with the ACC-technology, which ensures the same grip in wet weather, as you would otherwise have in dry conditions. 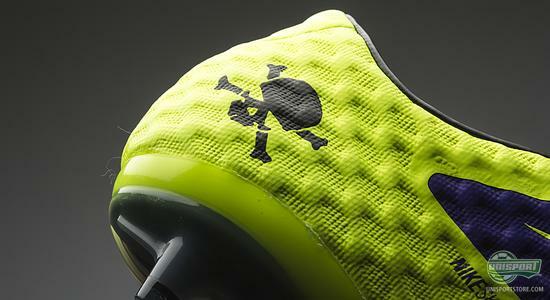 When it comes to pitch grip, the Hypervenom is designed with Agility in mind. 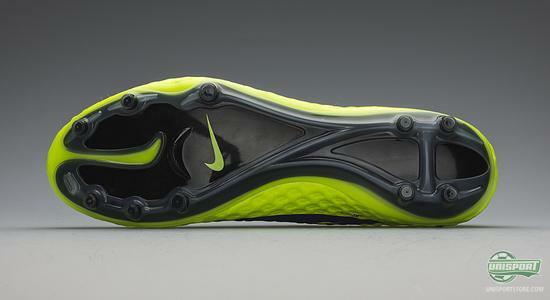 This is something Nike want to enhance and they do so with the newly designed outsole. In the front foot, the big toe area is separated from the rest of the toes. This is because you use this part of the foot to navigate and accelerate, so by adding the grove in the soleplate, you should have more movability and a more agile kick off, when performing the unpredictable moves. The studs look fairly standard  and then again not. The conical studs are nothing new on football boots, but the ones Nike have used on the Hypervenom are much smaller than regular studs. This is to make sure they penetrate the ground quicker and easier. This means the rounded studs have an advantage, when it comes to changing direction and are more effective at this, than bladed studs. 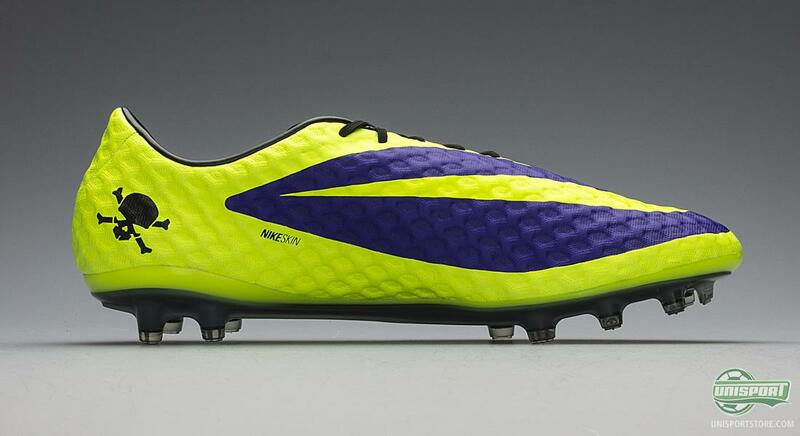 With the new colourway of Nike Hypervenom, Nike have had added incentive to really do a good job on the boot. The boot is made for the unpredictable player and what better way to stand out, than by having a boot, which matches your flamboyant style of play. The boot is a part of Nike's Hi-vis collection, which you can see much more of by clicking the banner down below. It will take you straight to our newest campaign-site, which honours Nike's innovative new range. The Nike Hypervenom Phantom has gotten a new and flamboyant colourway, as a part of Nike's Hi-vis collection and we are excited to see it in action for the first time. What do you think about the new colourway? And do you like standing out in a crowd? As always you can feel free to leave your comment in the box down below, or on Facebook and Twitter.